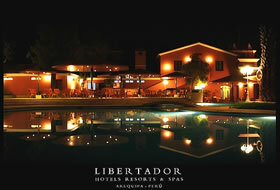 The Hotel Libertador Arequipa provides a distinctive, warm and friendly service to tourists who travel the circuit in southern Peru Arequipa-Cusco, providing business travelers everything they might need during your stay in the main center Financial. To hold events, the hotel can cater up to 1000 people in its spacious rooms and extensive gardens, which can be specially decorated and equipped for holding conferences and congresses. Its excellent facilities and stunning location make the hotel an excellent starting point for exploring Colca, known as the world's deepest canyon. Plaza Bolívar s / n, Selva Alegre. Have an area of 30 m2 with two double beds or king size. Similar to the standard, consists of an integrated living room coffee table. With 40 m2 offers all the amenities you need. Is divided into two rooms: living room and bedroom. It has 51 m2, and has the same characteristics as a Junior Suite. Where you can enjoy house specialties like the "Passion Fruit Sour" drink made from pisco, passion fruit juice and sugar. 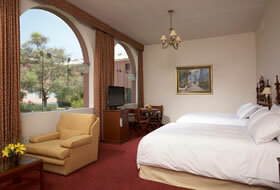 We provide free internet in the business center and guest rooms 24 hours. 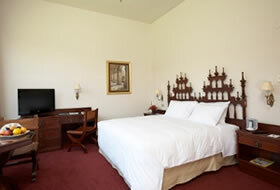 Recently renovated with new equipment, sauna and massage area. Swimming pool and Jacuzzi at your disposal 24 hours. Where you can enjoy a varied breakfast buffet from Monday to Sunday (from 05:00 am to 10:30 am). 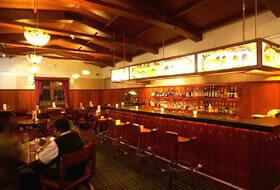 In the afternoons and evenings offer an international menu that blends local ingredients in an original proposal. Kuna, which offers a wide variety of unique gifts made with alpaca and vicuña fibers, native of Peru. Climate: The city of Arequipa's climate by spring, with an average maximum temperature of 21 º C and a minimum of 7 º C. During the day is hot and at night the temperature drops. It is said that the sun shines in Arequipa for 360 days a year. The coldest months are June to September. Foreign exchange: The official currency is the Nuevo Sol, represented by the symbol "S /.." Most establishments accept dollars at the daily exchange rate. There is a currency exchange facility that operates 24 hours in the box reception. You can also change euros dollars and local currency at banks in the city. Lima - Arequipa (1003 km.) Lasting approximately 14 hours. car. Santa Catalina Monastery: Built in 1580 to accommodate a closure order, the monastery looks like a miniature city and is divided into sections that evoke the different neighborhoods of Arequipa from the colonial era. Volcan Misti, El Misti provides the emblematic image of the white city and dominates the landscape. From its peak of 5.822 meters one can glimpse the city of Arequipa, the entire river valley and Chachani Chili and Picchu Picchu. 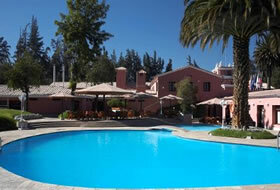 It is located 17.5 km northeast of the city of Arequipa. Toro Muerto Petroglyphs: This ancient and magical religious site dating from the Quaternary period. The petroglyphs of the region, archaeologists have provided evidence for the existence of prehistoric cultures in this part of Peru. Company Complex: The imposing structure is the only surviving colonial building in Arequipa. It consists of two cloisters, which is accessed through portals carved volcanic rock, decorated with indigenous and European. 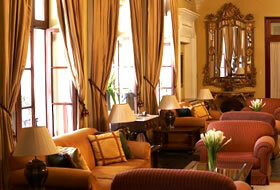 Arequipa is the finest example of architectural style known as mestizo, combining European and indigenous influences.